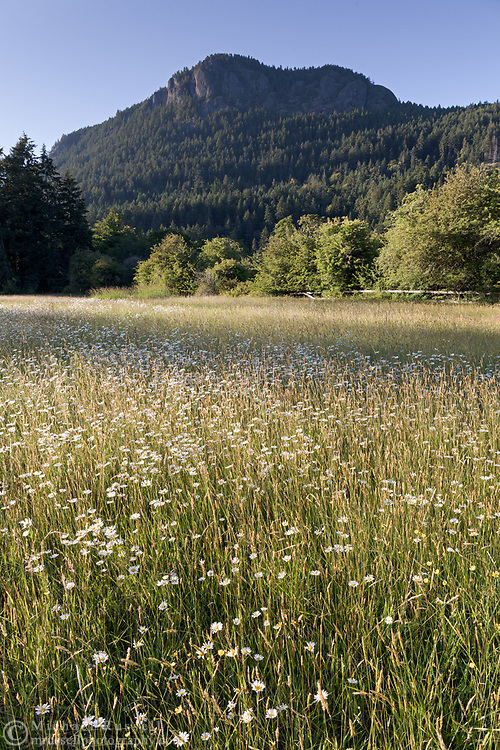 A field of English Daisies (Bellis perennis) on the former farmland in Burgoyne Bay Provincial Park. The English Daisy is an invasive species and is not native to the area. Mount Maxwell and Baynes Peak are in the background. Photographed in Burgoyne Bay Provincial Park on Salt Spring Island, British Columbia, Canada.